Choose a fast maturing variety. When selecting plants, check descriptions for the number of days to maturity. In Rockwall County, any tomatoes that take longer than 70 days to mature are risky choices. Warm up the soil. 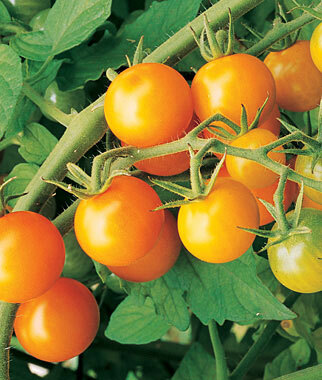 The soil raised beds warms up faster that garden soil, so they’re ideal for heat-loving tomatoes. Harden off the plants. During the week prior to planting them in the garden, gradually expose seedlings to increased amounts of wind and sunshine. Protect young plants. Chilly temperatures and drying winds will slow growth. A simple method is to place a bucket or large flower pot over each young plant if the weather turns cold. Wait to apply mulch. Leave the soil bare around the new transplants for the first few weeks to allow the sun to warm the soil. Then apply a 2 to 3 inch layer of mulch. Support plants. Install sturdy cages or trellises to keep plants upright and growing strong. Medium / Determinate: Celebrity, Tycoon, Early Girl, Better Bush, Cherokee Purple (Heirloom) and Taxi. Small / Indeterminate: Sungold, Sweet 100 and Yellow Pear.